"... Very slow mover (~6.5 km/s) at around 05:29:30 UTC; multiple fragments. 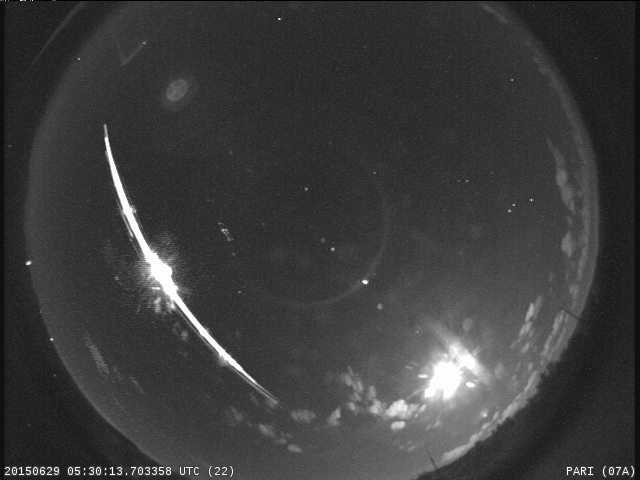 Looks like a reentry to me." Graphic of 06939 Debris Decay Data, Trajectory and Image. Soviet spent rocket Object 06939 SL-6 R/B(2) International designator 1973-084D is marked for decay with a T.I.P. (Trajectory Impact Prediction) for a decay epoch of 2015-06-29 04:12 UTC. 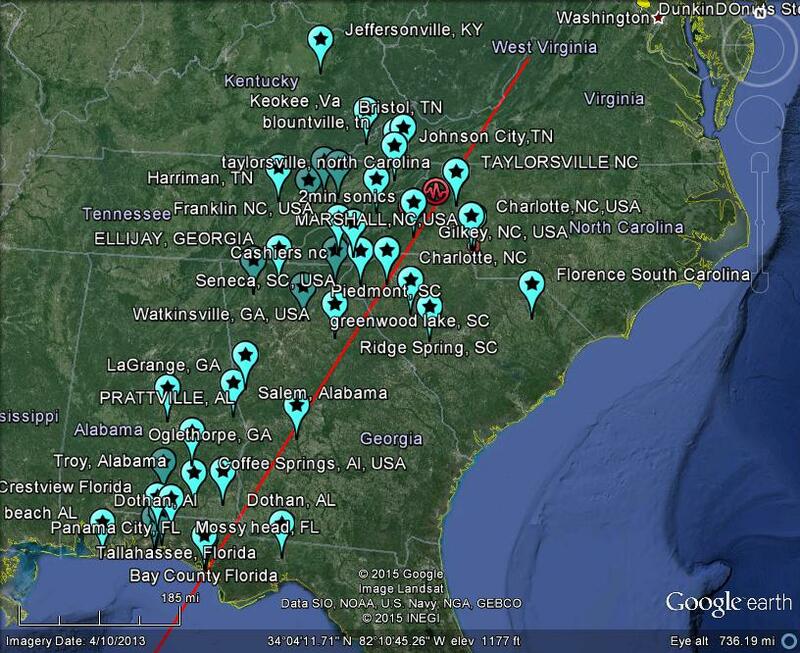 However the rocket may have traveled an extra loop of our planet and decayed over the USA. coincidentally puts it over the US during the "meteor" event witnessed. "pic took it while driving with high beams on also it crossed in front of me I'm facing south coming from Hot Springs toward Marshall, NC on 25/70 Hwy"
"At around 1:30am on june 29th there was a fireball that appeared in the sky. It lasted about 20secs, breaking apart and leaving orange and white streaks in the sky as it went." I was facing the parking lot area noticed it at 12:30 and it traveled quite fast behind the building going towards Ga" -Video by Ashley G.
FEMA REGION IV / FEMA REGION III. Advise DO NOT TOUCH DEBRIS or Approach - Potential Hazard! Materials DID likely survive re-entry! Found Space Trash Debris?- Emergency Response Tele - Patrick Air Force Base at 321-494-7001 or contact your nearest local law enforcement official. 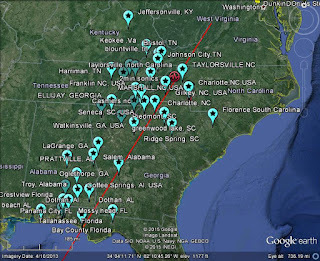 29JUN2015 Tom M. ELLIJAY, GEORGIA, US 01:45/EDT 20 Seconds SW to NE. Moved from my right to left as I faced SE. Bright white Bright as Jupiter. Very white in color. Yes. Head appeared fragmented, and several smaller objects closely followed the main part. I was facing SE and the object moved across my field of view from right to left. Seemed to be descending. No noise. 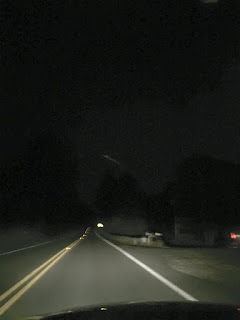 29JUN2015 Monique Between Ridge Spring, SC and Aiken, South Carolina 1:30am 30-40 traveling across sky West on 1-20. It was going somewhat north Didn't hear sound. Bright color pretty bright as star with smoke trailing It was large then became fragmented as traveled Pretty. 29JUN2015 AMANDA TAYLORSVILLE NC, USA 1:30, EASTERN, AM 12 SEC SW/NE--N LEFT to RIGHT ORANGE IN COLOR Venus small fragmentation There were at least 2 objects, and they had long tails. 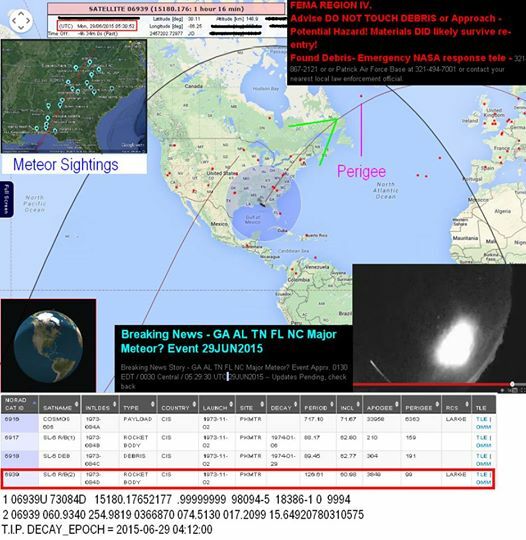 29JUN2015 Nicholas Cammarata Buford, GA 01:25 AM 15-20 sec 111*E^-5*1973 / 34*05'42N 83*5829"W Saw a steam of a bright cluster of mass moving across the sky from right to left. Started out more blue white in color and one body mass. As it moved across the sky it broke up into maybe 5 or 6 separate masses with a blue white orange bright streaks. The colors grew more intense as it moved. UNBELIEVABLE!!!!!!! moon yes Ironically neither one of us cared to grab our phones. It wasn't something to take your eyes away. My friend watched it with me as we were walking to his car. The size of the mass was quite large compared to anything else I have seen. I am sure others saw it too. Meteorite Claimed found in Brasil?? ?